Tis the season to meet friends for drinks and go to holiday parties!! 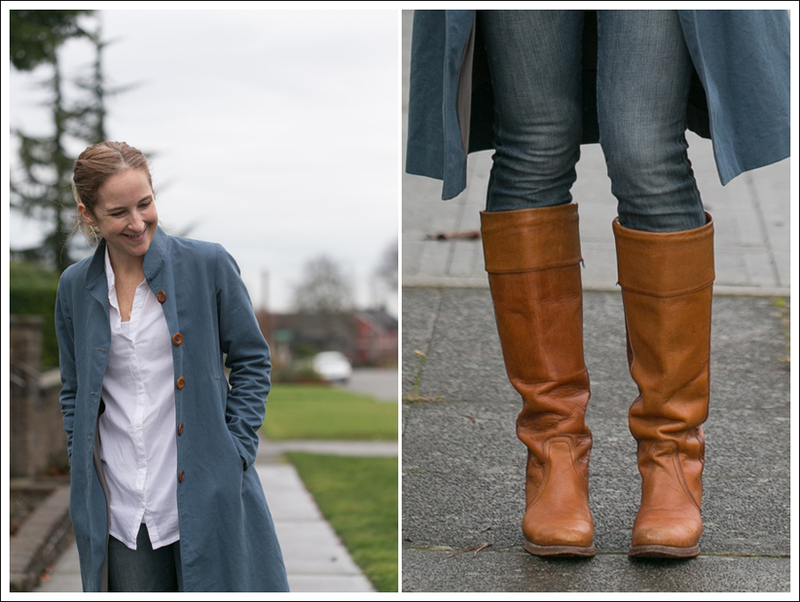 As a busy mom, it’s SO helpful to find an outfit that can easily go from day to night, because I swear sometimes I have about 10 minutes to get ready!! Am I the only one? I’m thinking no! I’m sure you look at it and think? NO…this is super casual, cozy, and comfy. And it IS!! But, it’s super easy to take comfy cozy basics and take them to a party! Cashmere sweaters are a staple for me, because they are SOOOOO comfy! You feel like you are wearing your most favorite worn in sweatshirt, yet look like you put some effort into things! 😂 Oh, and if you think cashmere is out of your price range, think again! It’s one of my most favorite things to thrift! I scored this GORGEOUS $200+ sweater on eBay for less than $20! Funny story. I shot the above shots as well as the “night” version in SIX MINUTES! hahaha. Night version coming later! I had to go pick Maya up from school, but wanted to take these pics before getting her. I really wanted to get more shots, but…six minutes and people walking in the path talking to me…it didn’t happen. 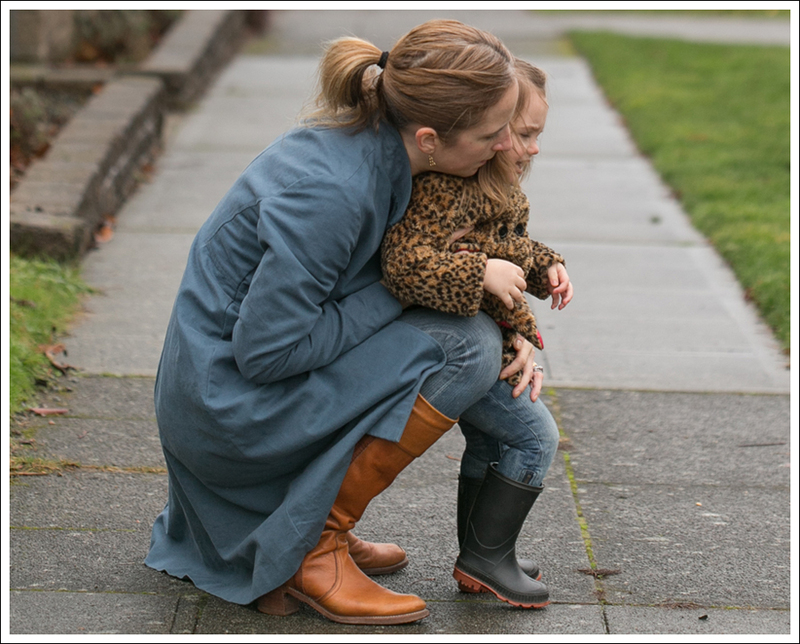 Then…I grabbed Maya from school and we came back to get a few shots together! Don’t you wish you could bottle up the joy of a child??!! Wait for it… I can’t even…LOVE HER!! She got leaves in her mouth and kept spitting. This miiiiiiight be what got those amazing smiles and laughs in the main post 😉 Hilarious in all it’s blurriness…. This entry was posted in Day Casual, Day to Night, Fashion, Favorite, Misc Maya, Mom Style and tagged Cashmere sweaters, Fall Fashion, Fall Leaves, Fashion Blogger, Fashion over 40, Leather Jacket, Mom Blog, Mom Style, Mother and Daughter Fashion Blog, Mother Lifestlye Blog, Motorcycle Boots, Seattle Fashion Blog on November 13, 2017 by laurenkahan. Layering for Spring (in GREEN!) Happy St Patrick’ Day! I wish I could say that I totally planned for us to wear green, and I had this post all lined up for St Patrick’s Day, but….I didn’t. I’m sooooo over the weather that’s been going on!! I just want to wear summer dresses (ok, no I don’t, because summer dresses aren’t my go to, buuuuuuut, right now?? SUMMER DRESSES! I want to wear them. And flip flops, and shorts, and anything else that’s appropriate for 65 degree plus. The reason I wanted to do this shot. Other than, I LOVE shoe shots? Both of our booties are WATERPROOF!!! haha. I meant to get some sun flare, and got a rainbow flare instead-WIN!!! Oh, and waterproof, you say? Let me test them out!! 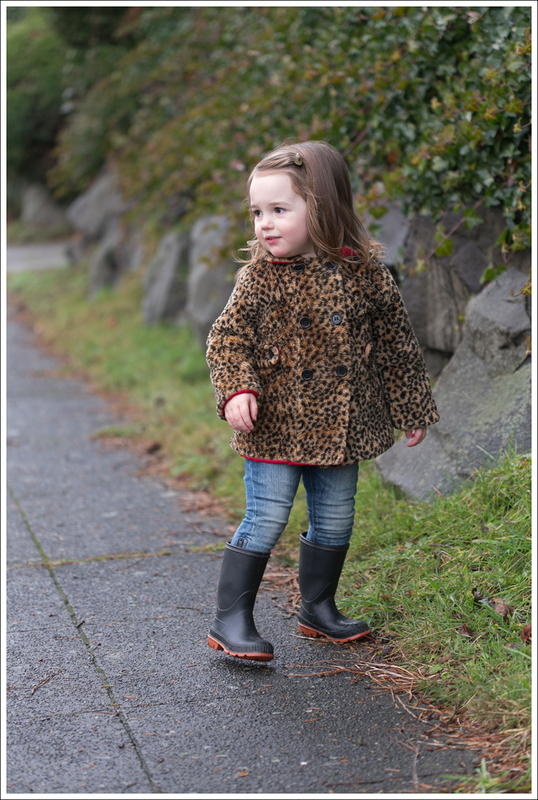 But…her socks were dry and a wet wipe made the boots good as new! Retail…$75. Thrifted in like new condition…$4.25. I swear, whenever I say I want to try and get a few pictures of just me…. I give her snacks, yet she always wants to be in the shots!!! However….when I want to get a shot of her or the both of us?? Oh….WIND??! Yeah, miiiiiiiiiight not be wearing this dress on windy days. NOTE TO SELF! Yup….so her. 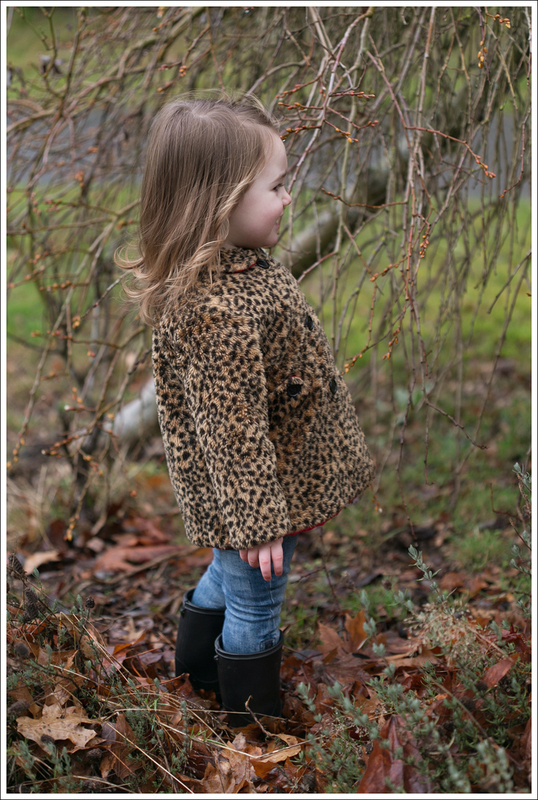 This entry was posted in Day Casual, Fashion, Favorite, Misc Maya, Mom Style and tagged Fall Fashion, Fashion Blogger, Fashion over 40, Mom Blog, Mom Style, Mother and Daughter Fashion Blog, Mother Lifestlye Blog, Seattle Fashion Blog, Spring Fashion, Waterproof Booties on March 17, 2017 by laurenkahan. I showed this dress on Monday as an every day wear, but honestly…it begs to be worn out!! All the little details…kill me! Oddly, when I got home, I swear the attached slip shrank like 4 inches!!! I don’t remember it being so short in the store, so I added another slip underneath for coverage! All in all, I just want her to have fun, so whatever she suggests, I’m game for 🙂 AND, I got some great shots of us laughing, so I’m beyond happy too! Behind the scenes video here! This entry was posted in Date Night, Day Casual, Fashion, Favorite, Girl's Night Out, Holiday, Misc Maya, Mom Style and tagged Fall Fashion, Fashion, Fashion Blogger, Fashion over 40, Holiday Style, Little White Dress, Misc Maya, Mom Blog, Mom Style, Mother and Daughter Fashion Blog, New Year's Eve Outfit, Thrift Store, Thrift Store Clothing, Thrift Store Scores on December 30, 2016 by laurenkahan. SO glad that they do though!! Hahaha. Charlie standing on his tippy toes! Like he needs to… I can’t even…. I pity the guys that want to date her… LOVE this shot of them!!! hahaha 🙂 GAH!!! She looooves her daddy! Mom got this… Dad got this…. Oh, and I never got any of just me, so…I got these when I came home. I guess that’s a no? 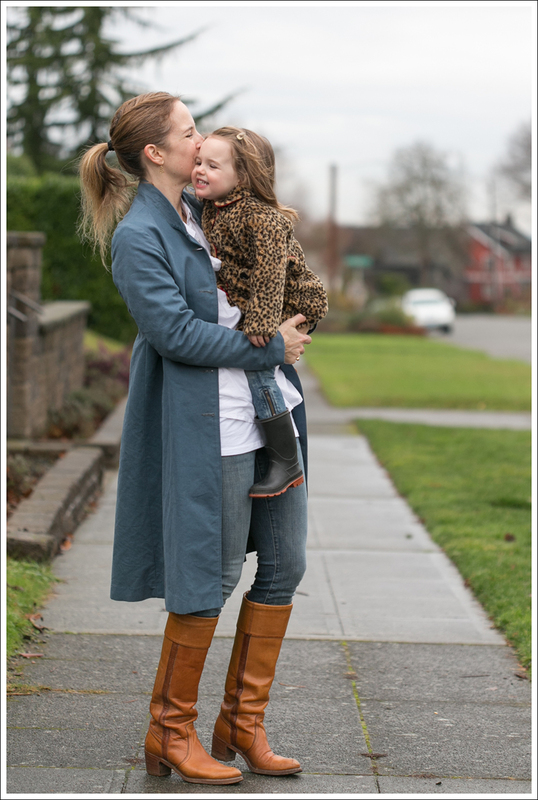 This entry was posted in Day Casual, Fashion, Favorite, Misc Maya, Mom Style and tagged Day Casual, Fall Fashion, Fashion, Fashion Blogger, Fashion over 40, Holiday Style, Misc Maya, Mom Blog, Mom Style, Mother and Daughter Fashion Blog, Mother Lifestlye Blog on December 23, 2016 by laurenkahan. BUT… Long loose cashmere top, with stretchy crop flares? YES! I just might wear this again for a holiday party this year! Oh, and if you’ve followed along…I’m a total sucker for an open back top! This bralette is the best for coverage, and on Amazon for CHEAP! Although, it’s really only good for those of us that don’t have “support issues”. 😉 Oh, and…yes, we are totally matching, and I LOVE IT! 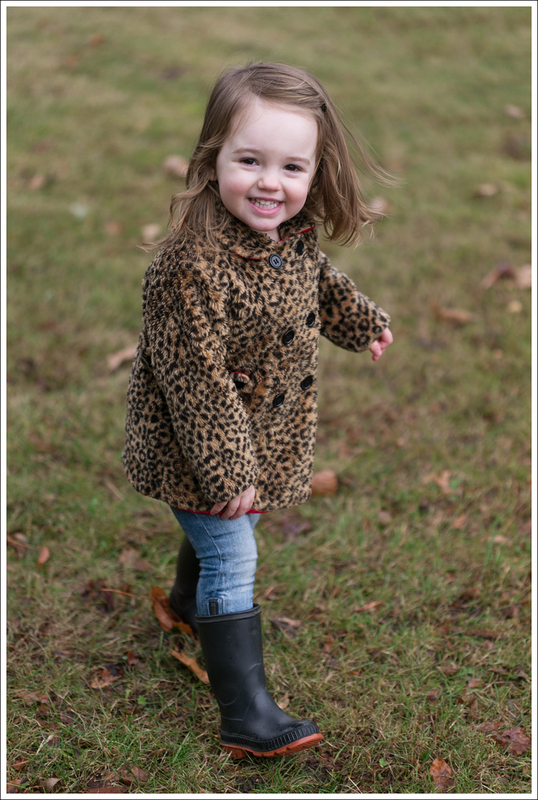 What I use to set my focus on, because she never stands still like this!! This entry was posted in Date Night, Day Casual, Fashion, Favorite, Girl's Night Out, Misc Maya, Mom Style and tagged Booties, Cowboy Boots, Crop Flares, Day Casual, Fall Fashion, Fashion, Fashion Blogger, Fashion over 40, Holiday Party Fashion, Holiday Style, Misc Maya, Mom Blog, Mom Style, Mother and Daughter Fashion Blog, Mother Lifestlye Blog on December 5, 2016 by laurenkahan. Chunky Knits + Cowboy Boots! Fall for me equals big comfy sweaters + boots. Sooooo many variations, but all so good. 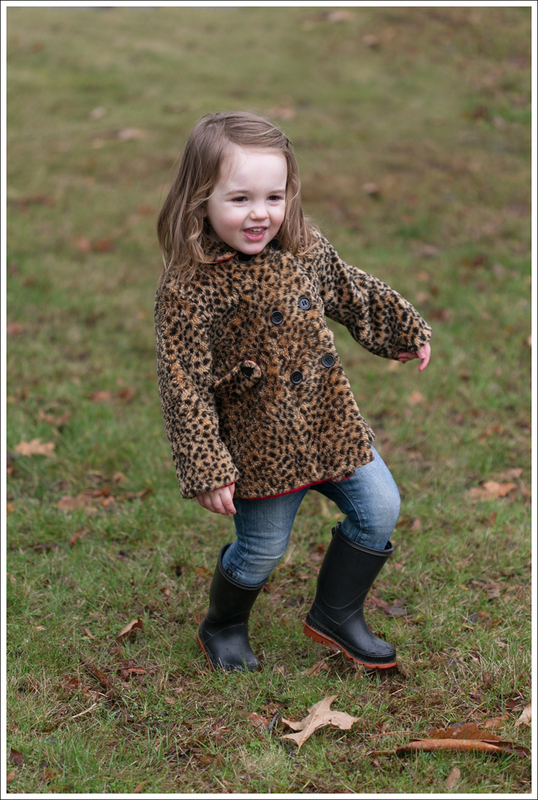 And… Three cheers for mother in laws that live in Oklahoma and send us amazing cowboy boots!! Maya just got this pair for her birthday, and we are both in LOVE!! Oh, and the way she’s leaning on me??! Dying… Omg, that face!! Sweater- Handknit by my dad. She loves standing right behind me to take our picture, or under my legs…as I’ve shown many times 🙂 I was trying to get her from being behind me. She wasn’t having in of it. I was trying to set up for the boot shot ( you can see the focus stand in the background), and Maya kept sticking her head right in front of the lens haha. I Photo Shopped the stand out of the shot in the main post. 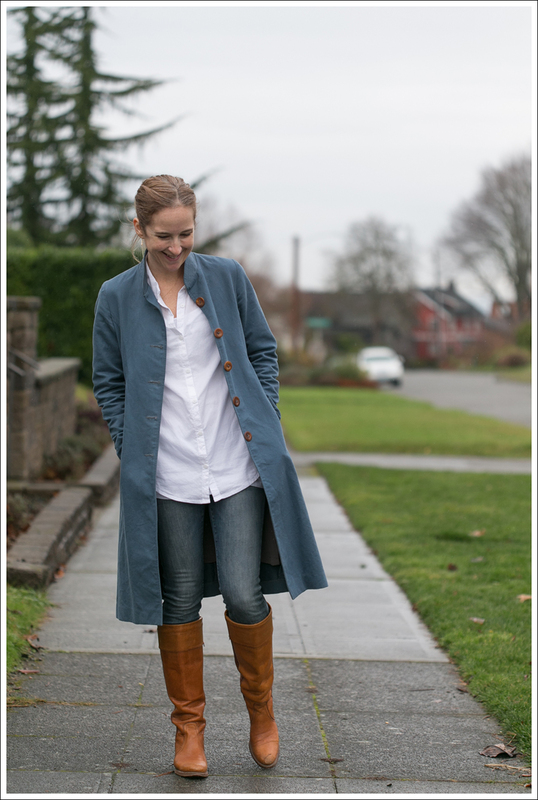 This entry was posted in Day Casual, Fashion, Misc Maya, Mom Style and tagged Chunky Knits, Cowboy Boots, Cowgirl Boots, Fall Fashion, Fashion Blogger, Fashion over 40, Handknit Sweaters, Mom Blog, Mom Style, Mother and Daughter Fashion Blog, Mother Lifestlye Blog, Seattle Fashion Blog on October 24, 2016 by laurenkahan. With this weather…you need statement jackets! 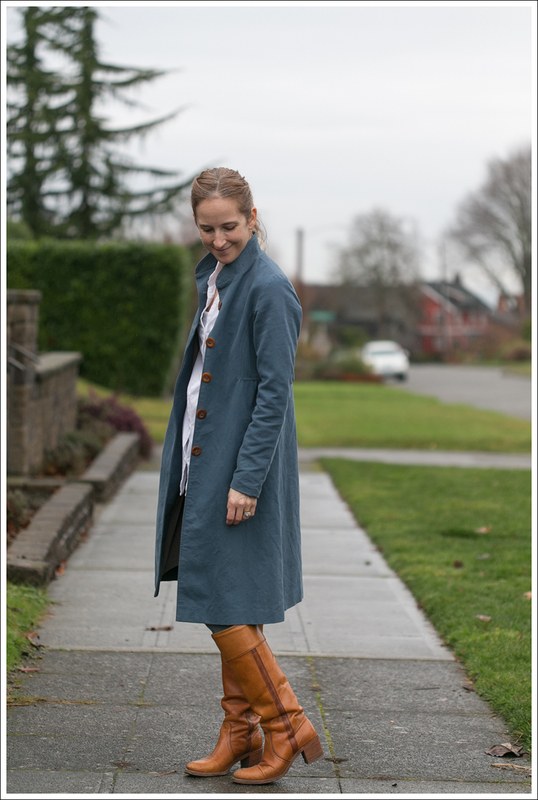 This entry was posted in Day Casual, Fashion, Misc Maya, Mom Style and tagged Fall Fashion, Fashion Blogger, Mom and Daughter Fashion, Seattle Fashion Blog, Vintage Frye Boots on January 9, 2014 by laurenkahan.